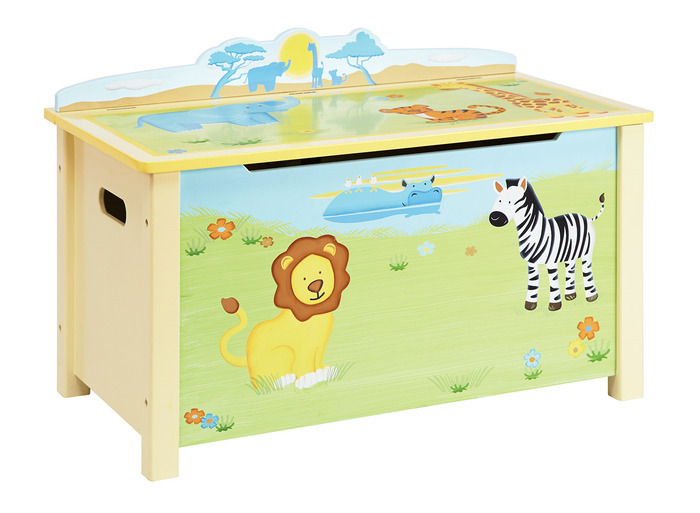 This colorful Safari Savanna Smile Toy Box by GuideCraft features a spacious interior, safety-lid supports and cutouts to prevent kids finger pinching. 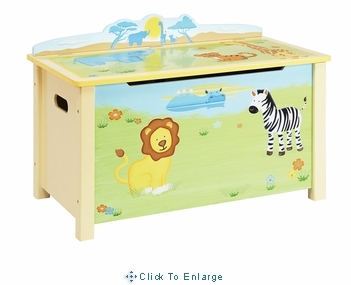 It has images of lions, giraffes, and zebras around . All pieces are hand carved and hand painted with hand carved relief.